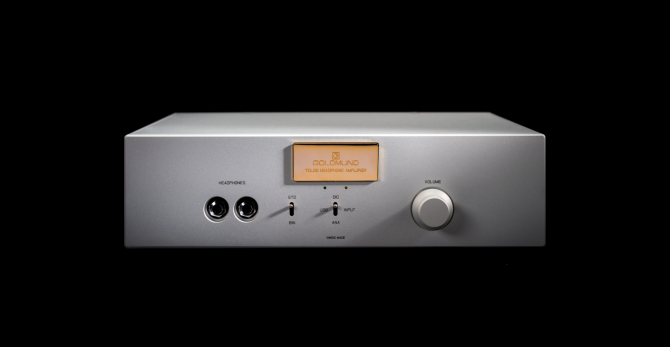 Accumulated Goldmund’s technology excellence and design effort, the new Goldmund Telos Headphone Amplifier 3 NextGen (THA3 NextGen) is aiming to elevate the originally reference level headphone amplifier to a new level. The THA3 NextGen maintains all the signature traits, including adjustable gain for driving all kinds of headphone cross sensitivities, adapting to any impedance, with great dynamics. One crucial factor that made THA3 NextGen with supreme performance is that the internal circuitry was derived directly from the renowned Goldmund Telos amplifier circuitry. 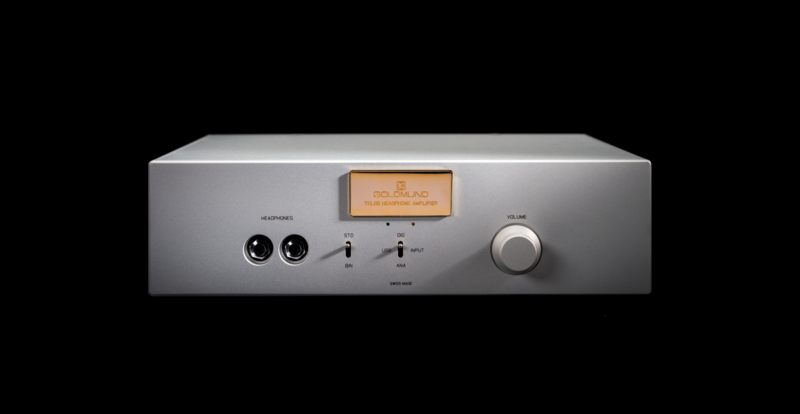 The headphone users can thus experience the transparency, energy, linearity, and openness from Goldmund’s legendary Telos line of amplifiers. •Nominal line voltage: 115 V or 230 V.
•Input voltage range: +/- 15 %. •IEC 60065, 1/8 Output Power at 50 Ω: 30 W.
•Power cord: universal socket 3 lugs, 16 A. •1 x Analog RCA (left & right): ADC conversion for DSP. •1 x Toslink Optical or Digital S/PDIF coaxial RCA 75 Ohms. •1x USB input: Audio Class 2.0 (no driver required on Mac OS X as of v.10.6.4 nor on Linux, driver required only for Windows). •Sample rate up to 384 kHz/Bit depth up to 32. •Input selectable through front panel switch. •Binaural mode switch according to the publication “Improved Headphone Listening” of Siegfried Linkwitz. •Maximum power (IEC60065): 2 x 2220 mWrms on 50 Ω / 1%THD. •Gain adjustable for low/high sensitivity headphones (adjustable internally). •3 years parts and labor.